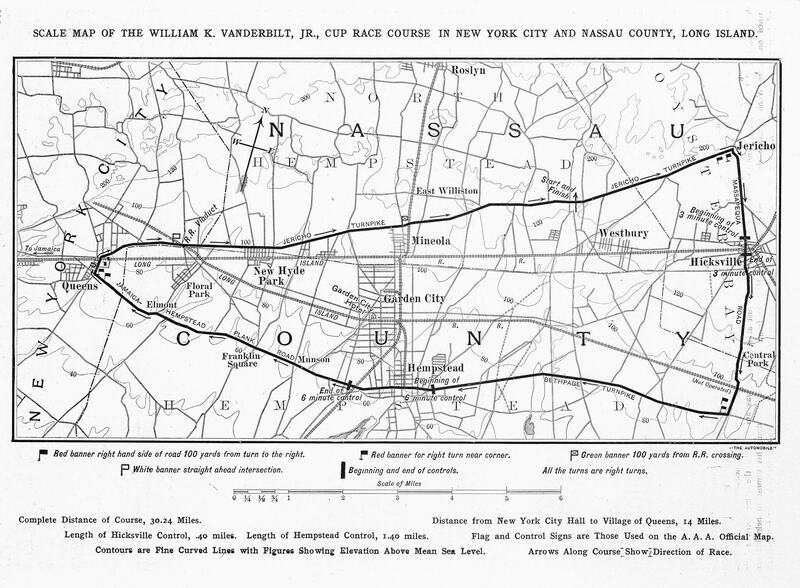 Richard, the 1904 Vanderbilt Cup Race went south down the heart of Hicksville. Here is a "Then & Now" of the race as seen on Broadway. 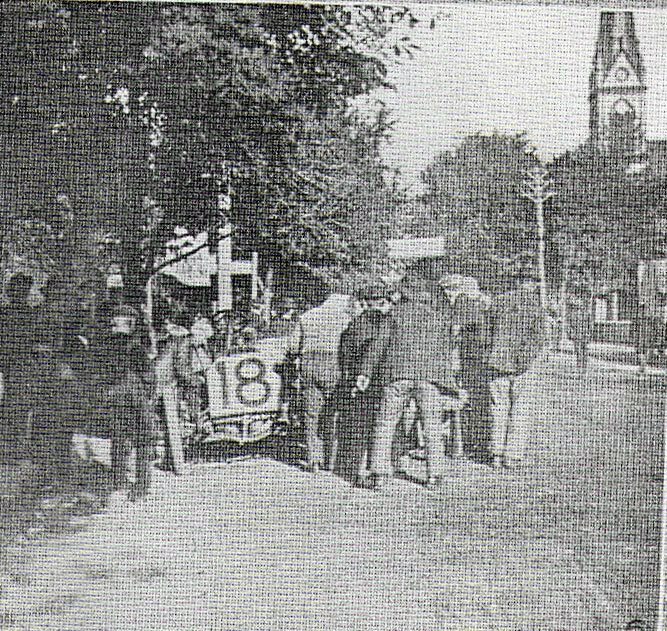 Due to the railroad crossing and relative higher population density, the 1904 race had a 3-minute control stop in Hicksville. 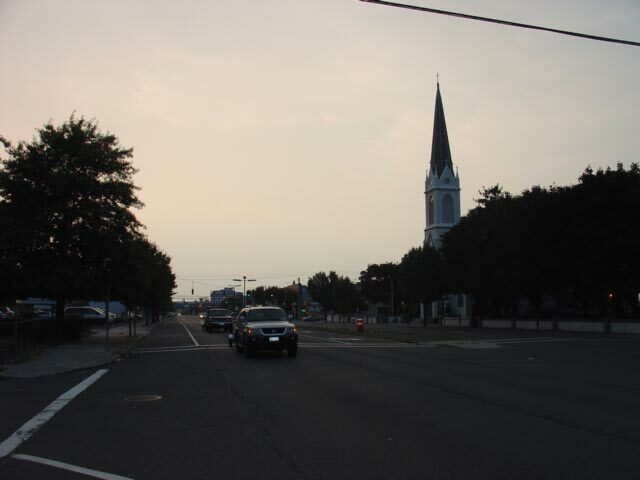 At the 0.4 mile control, the cars were stopped, inspected, and allowed to proceed slowly over the railroad tracks led by officials on bicycles. 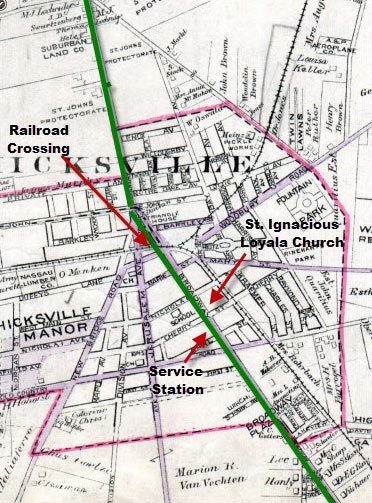 As shown in this map, the control surrounded the Hicksville railroad crossing and included a service station for the cars. 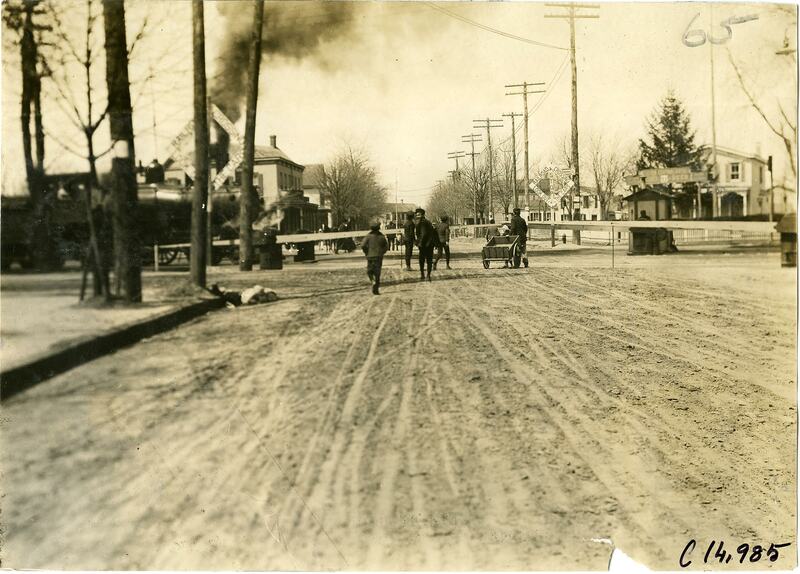 Then (1904): The railroad crossing on the 1904 course looking north on Broadway. 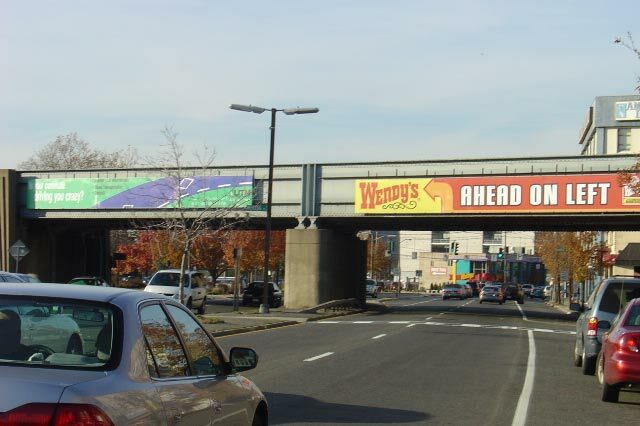 Now (2004): The same location as it looked 100 years later. The #19 Fiat driven by William Wallace. 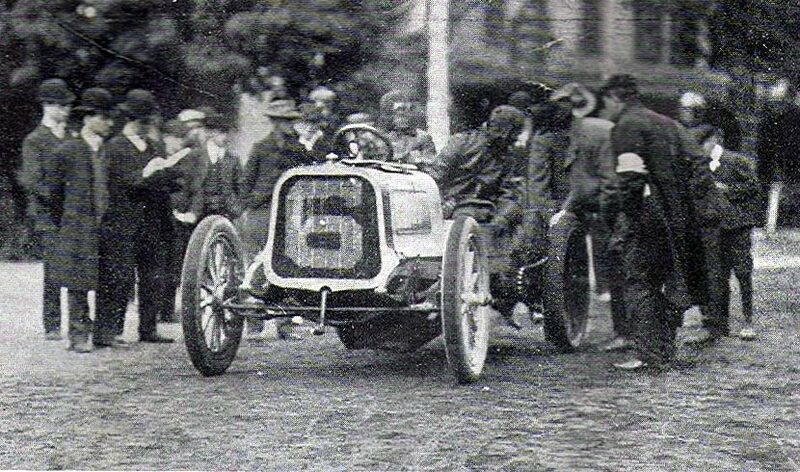 The #6 Pope-Toledo driven by Herb Lytle. 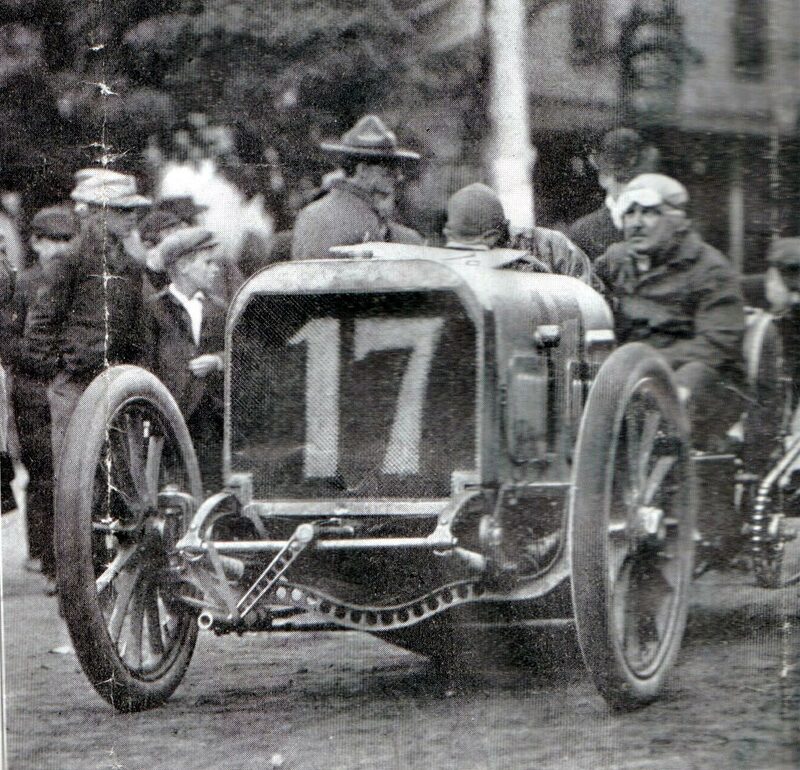 The #17 Simplex driven by Frank Croker. 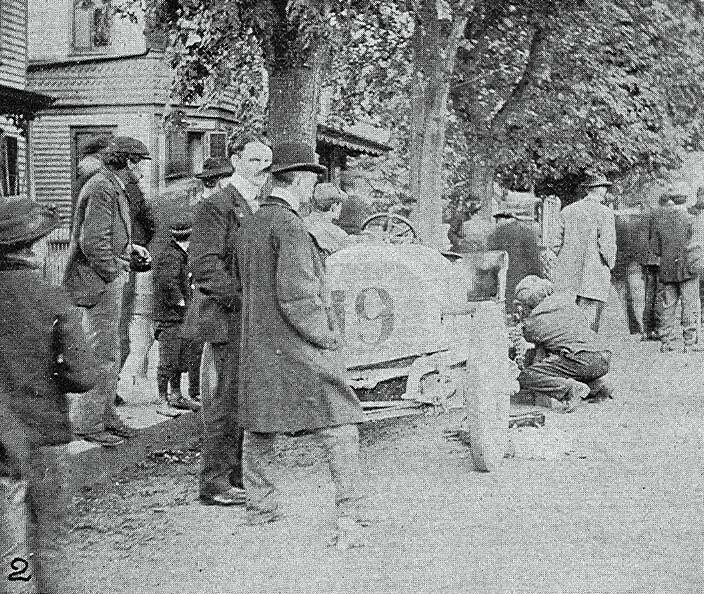 The #18 Mercedes driven by William Luttgen. St.Ignatius Loyola Church can be seen of the right. The same location 100 years later. The church is still there! 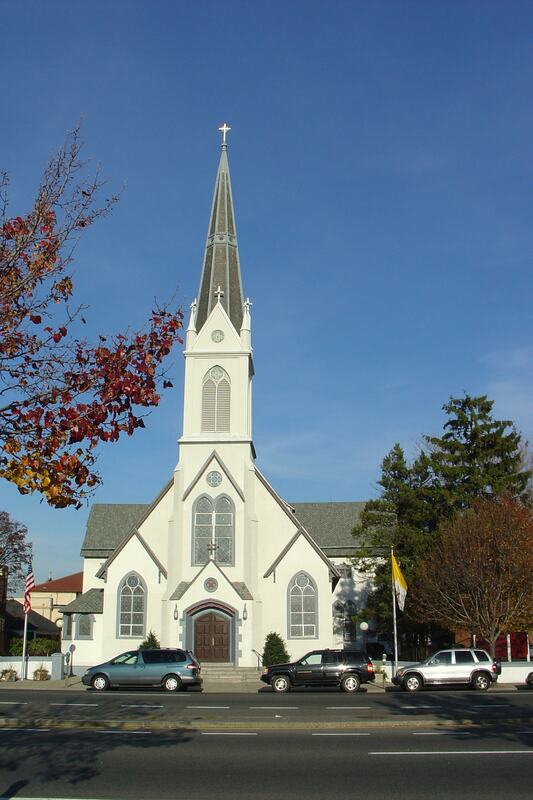 St. Ignatius Loyola Church was finished in 1891, 13 years before the 1904 race. Thank you! There are some photos I haven’t seen before, good stuff.